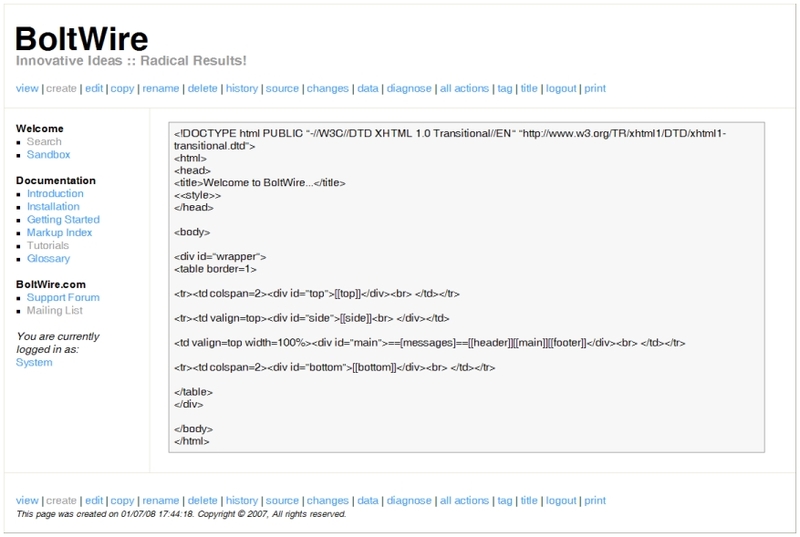 Want to quickly see how the open-source software BoltWire works? 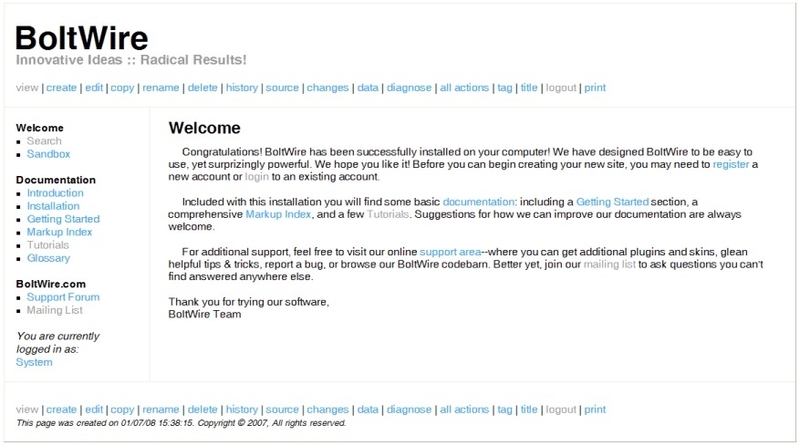 You'll find a free and updated demo installation of BoltWire here. We are currently updating the BoltWire demo. Please check back shortly. There will be a new version up soon. 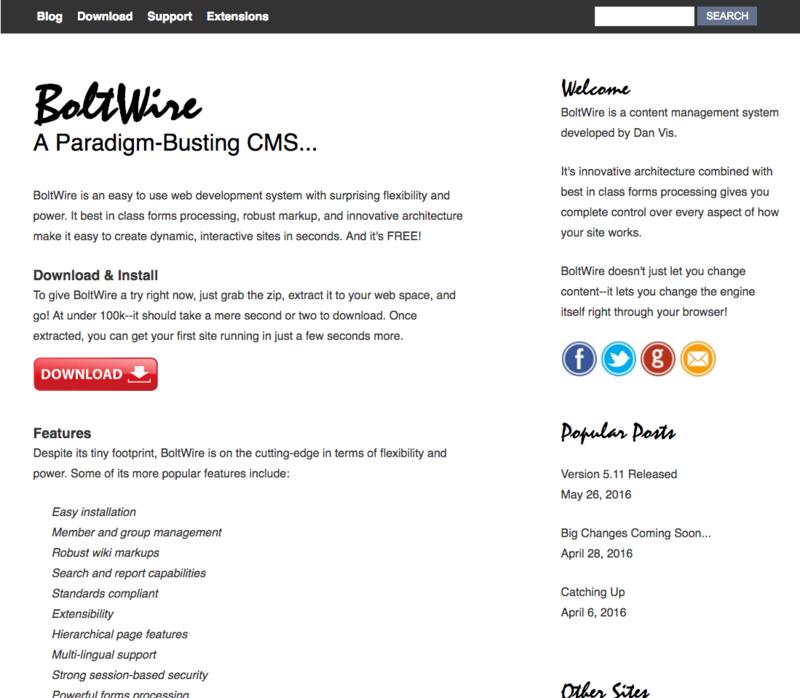 Boltwire CMS is a free content management system that uses PHP as a programming language that comes with a quick installation and many features. Some examples include robust wiki markups, ability to extend its functionality, multi language support, mobile and print friendly and advanced forms processing. It was first released on January 2, 2008 and has completed 5 development cycles since then, improving its features. The screenshots below will give you an idea of how a BoltWire demo looks like, but you can also download the software and create your own BoltWire demo. BoltWire CMS was designed to help create robust web applications fast. The latest version available for download is 6.0 and was released on February 14, 2018.